Ruckus ZoneDirector 1200Full-featured Smart Wireless LAN ControllerThe Ruckus Wireless ZoneDirector 1200 is Ruckus’ centrally managed Smart Wireless LAN (WLAN) system developed specifically for small-to-medium enterprises (SMEs). The Ruckus ZoneDirector is ideal for small businesses that require a robust and secure WLAN that can be easily deployed, centrally managed and automatically tuned.The ZoneDirector 1200 is also perfect for businesses who want to provide services such as voice over Wi-Fi, IP-based video, secure enterprise access and tiered Wi-Fi services in venues such as hotels, airports, schools and public buildings. The ZoneDirector 1200 integrates the Ruckus Smart/OS application engine that delivers advanced features such as smart wireless meshing, high availability, hotspot authentication, elegant guest networking and dynamic Wi-Fi security. The Ruckus ZoneDirector easily integrates with network, security and authentication infrastructure already in place and is easily configured through a pointand- click web-based wizard. Ruckus ZoneFlex APs automatically discover and are configured by the ZoneDirector.Redundant and secure, the Ruckus ZoneDirector provides WLAN-wide network, security, RF and location management within a single, easy-to-use and affordable WLAN system. Ruckus Zonedirector 1200 Zonedirector 1200,Licensed For Up To 5 Zoneflex Access Points. 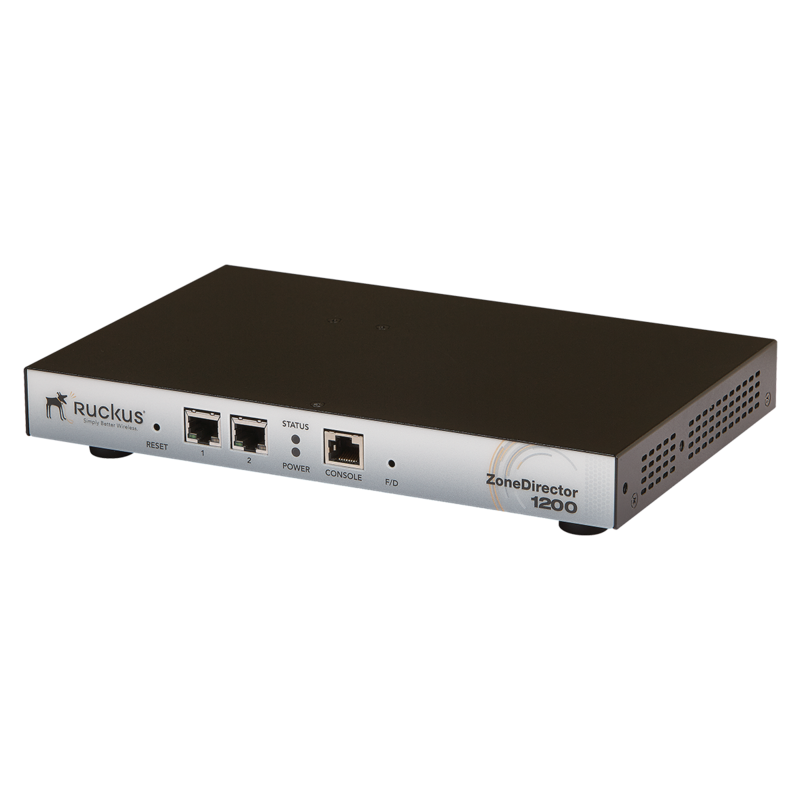 - Ruckus Zonedirector 1200 Zonedirector 1200,Licensed For Up To 5 Zoneflex Access Points. Select Product * Please select product Ruckus Service Contracts Service Contracts,End USer Sup For Zd1205 1 Lic Upgrade 1y Ruckus Service Contracts Service Contracts,End USer Sup For Zd1205 1 Lic Upgrade 3y Ruckus Service Contracts Service Contracts,End USer Sup For Zd1205 1 Lic Upgrade 5y Ruckus Service Contracts Service Contracts,End USer Support For Zd1205 1y Ruckus Service Contracts Service Contracts,End USer Support For Zd1205 3y Ruckus Zonedirector 1200 Zonedirector 1200,Licensed For Up To 5 Zoneflex Access Points.